In some ways, I had always expected the news of Gautam’s arrest. Over the last 25 and more years that I have known him, first as a friend and comrade in anti-communal mobilisations in the early 1990s and then as a part of family, the one thing which has stood Gautam apart is his ability to stand up for his beliefs, untampered by the caution of costs that he may have to bear. It was relatively easy, in a manner of speaking, to stand up for the victims of the 1984 anti-Sikh killings, or against the rising crescendo of Hindu communalism in the 1980s and 1990s. Even if it was a minority opinion facing the wrath of State and majoritarian opinion, there were enough people on this side too. What stood Gautam apart for me was his public stand during the Kargil war. I did not agree with him, as was true for most of his friends. Kargil was a clear instance of a breach of trust by the Pakistan military in an attempt to force the Kashmir dispute towards a military resolution. Gautam, along with a handful of his friends, did not agree. He felt, strongly, that this particular combat between the armies of India and Pakistan was but a symptom of the immoral and wasteful fight between the two countries. He could not see a moral basis to India’s claim in a land where both India and Pakistan had treated its people as expendable pawns in a geo-strategic game. He did not see anything exceptional in Pakistan’s behaviour (“breach of trust”) where both states had breached trust that the Kashmiri people had placed on them. He argued that the war will, whatever the outcome, only mean more young men dying for an immoral cause. I remember vividly sitting and watching the news with him when the reports of Vikram Batra’s death were “breaking”, and Gautam feeling angry – his hands in a fist of rage – telling me that this is what will be the only achievement: the loss of young people’s lives for a futility. It was not just the vacuous anger of the drawing room for Gautam, an anger which is cautious because it is careful of public moods and state power. Gautam went campaigning in public against the Kargil war while it was going on. He spoke at street corner meetings, telling people of the wastefulness of war and calling for an end to fighting. I did not agree with him then, and I did not agree with him today either on many of his political stands. In the over two decades he has been part of my family – my aunt’s companion, partner and support – I have realised that Gautam’s politics emanates from a deeply moral stand. If he was public in his opposition to the Kargil war, asking for cessation of hostilities while the peaks were still in Pakistani control, he was also in the forefront of pointing to defence corruption and the flaws in defence purchase which weakened India’s army and make cannon-fodder of its soldiers. 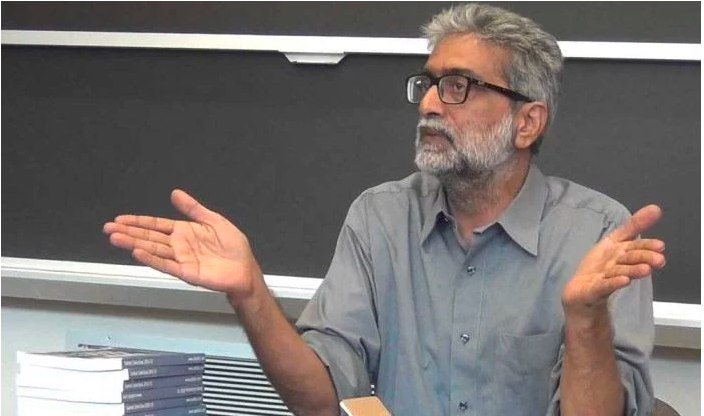 While he has moved to become a more convinced “Leninist” in his politics, Gautam carries the moral conviction of the Pacifists of a hundred years ago, who were willing to face public censure and State repression in standing up for their belief in the futility of the “Great” War. To stand up against the excesses of the State, to hold the State to account for its promissory note: the Constitution, to speak up against chauvinism and hysteria, stand against the mythical “will” of the people when you know they are wrong; I have seen Gautam do this consistently and fearlessly. Which is why I learn so much from him even when I disagree. His single-minded passion to raise his voice against injustice and to stand with those who have been wronged has been a life-lesson. they will have no victories, not today or tomorrow. So what if they douse the candles in rooms where lovers meet?